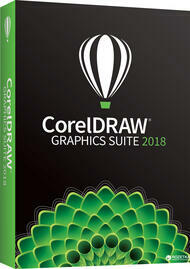 CorelDRAW Graphics Suite 2017 delivers all the essential tools for today's busy designer. Create powerful designs using intuitive vector illustration and page layout tools. Retouch and enhance photos with professional photo-editing software. And easily convert bitmap images to editable and scalable vector files. Whatever your project, CorelDRAW Graphics Suite X4 will streamline your workflow and inspire you with new creative possibilities.